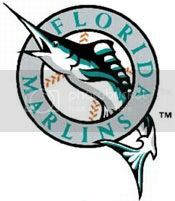 Congratulations to the Florida Marlins who defeated the Washington Nationals 12-6. In the game, Hanley Ramirez hit his first grand slam. Nolasco pitched a pretty good game. The doubters can start believing that the new stadium will benefit the county. Sooner or later, we will have an all-star game and a another World Series championship. Go Fish! Next: The Obama administration adds a Hollywood actor best known for his role as a cannibis loving med student to it’s team.